About this object A 12 term Member from Alabama, William Bankhead served three Congresses as Speaker of the House. Democrats maintained large congressional majorities, and President Franklin D. Roosevelt won easy re-election in the 1936 elections. 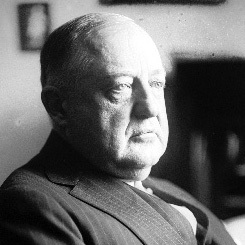 Roosevelt’s failed attempt to pack the Supreme Court with sympathetic justices helped foster a “conservative coalition” of Southern Democrats and Republicans in the 75th Congress (1937–1939). The House and Senate continued to pass New Deal legislation, including farm and housing loan programs and new minimum wage standards. Congress regulated crop and natural gas production, civilian aviation, and food and drug ads. The rapid escalation of hostilities in Europe and Asia convinced Congress to create a “two-ocean” navy as war appeared increasingly likely. 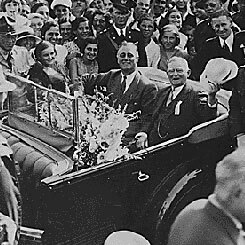 Franklin Delano Roosevelt was sworn into office at the U.S. Capitol for a second term as President. 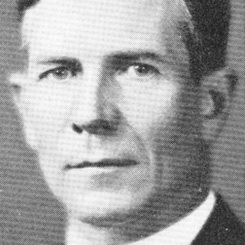 The first session of the 75th Congress (1937–1939) adjourned sine die. President Franklin D. Roosevelt signed into law the Wildlife Restoration Act, also known as the Pittman–Robertson Act of 1937.